ANDREW GOMEZ DREAM FOUNDATION was founded to honor a successful Paul Mitchell School graduate whose struggle against mental illness ended tragically in suicide. The foundation helps cosmetlogy students, graduates, and cosmetology-related enterprises. Funds have provided educational opportunities, assistance after natural disasters (through our support of the PBA Disaster Relief Fund), and support in the rights against breast cancer, domestic violence, and other destroyers of self-esteem. CHILDREN'S MIRACLE NETWORK HOSPITALS® raises funds for 170 children’s hospitals that provide 32 million treatments each year to kids across the United States and Canada. Donations stay local to fund critical treatments and healthcare services, pediatric medical equipment, and charitable care. Since 1983, Children's Miracle Network Hospitals has raised more than $5 billion, most of it $1 at a time. Its various fundraising partners and programs support the nonprofit's mission to save and improve the lives of as many children as possible. Whether building specially adapted smart homes for wounded heroes, lifting spirits at home and abroad with an explosive live concert, or bringing WWII veterans to the museum built in their honor, the GARY SINISE FOUNDATION serves America's heroes and their loved ones 365 days a year. FOOD 4 AFRICA is committed to supplying at least one vitamin- and mineral-enriched meal each day to the children of Southern Africa, where the HIV/AIDS epidemic has left more than 11 million children orphaned. There are currently 3.9 million orphans in South Africa. Of these, approximately 2 million have been orphaned as a direct result of AIDS, and countless others have been orphaned as an indirect result. 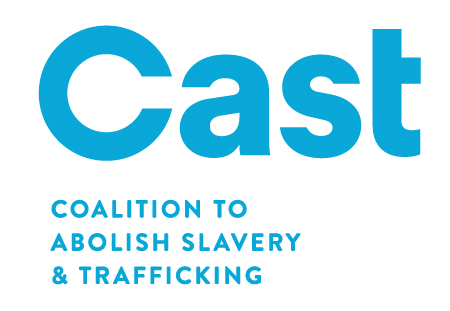 CAST (Coalition to Abolish Slavery and Trafficking) aims to assist persons trafficked for the purpose of forced labor and slavery-like practices and to work toward ending all instances of such human rights violations. THIRST PROJECT is the world’s largest youth water activism organization. In just eight years, Thirst Project has mobilized more than 600,000 students and young people who funded over 2,600 water projects in 13 countries, giving more than 367,000 people access to safe, clean drinking water—for life. NO LIMITS is the only family-centered program in the world that teaches low-income deaf children (ages 3–18) the skills to succeed in school and in life through its national theater program and after-school educational centers that enhance their confidence and communication skills while providing the leadership and academic skills to be college ready. No Limits educates parents to be advocates for their deaf children and shows that they have the potential to go farther than they can imagine. LEEZA'S CARE CONNECTION is there for families trying to answer the question, "Now what?" when there is a diagnosis of illness or disease. Through our free program and services, we offer strategies and solutions to help family caregives cope. Since 1991, the MAGIC JOHNSON FOUNDATION (MJF) has served and enriched urban communities nationwide. MJF has evolved from an HIV grant-making organization to one that advocates for community-based organizations and supports educational empowerment through HIV/AIDS education, testing, and awareness work; minority college access; and digital literacy. Additionally, the Magic Johnson Foundation provides inner city youth access to social activities and outings such as professional sports events and holiday parties otherwise unavailable to them. CANCER SCHMANCER MOVEMENT, founded by Fran Drescher, is an education and advocacy organization dedicated to saving lives through prevention and early detection of cancer. By empowering ourselves and the people we love to become medical consumers, listen to our bodies, ask the right questions of our doctors, and seek second opinions, we can prevent cancer and, if we still end up with it, detect cancer in its earliest stages. More than 1.6 billion people live in substandard housing. HABITAT FOR HUMANITY is an international nonprofit organization whose vision is a world where everyone has a decent place to live. Since 1976, Habitat has helped more than 5 million people through home reconstruction, rehabilitation, and repairs and by increasing access to improved shelter through products and services. The mission of EYES ON CANCER is to advance the prevention and early detection of cancer through education in the beauty industry. Eyes on Cancer seeks to unite beauty and medical professionals to lower the fatality rates of melanoma without causing harm through prevention and early detection. 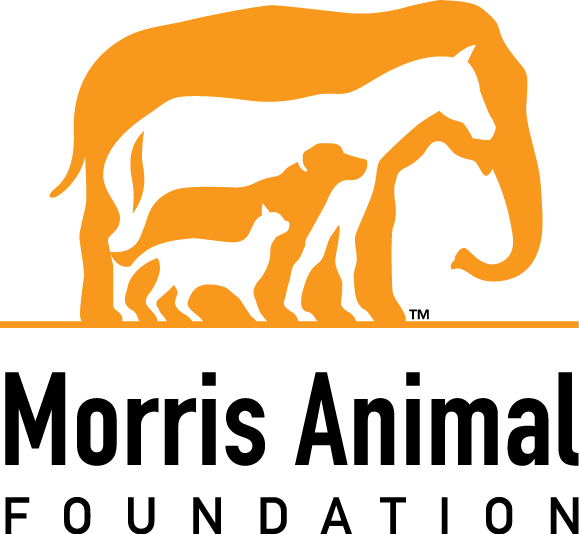 MORRIS ANIMAL FOUNDATION is a nonprofit organization that invests in science that advances veterinary care for companion animals, horses, and wildlife. We are the global leader in animal health science, and our funding helps more species in more places than that of any other organization in the world. BOYS & GIRLS CLUBS OF AMERICA provide a safe place to learn and grow—all while having fun. In every community, boys and girls are left to find their own recreation and companionship in the streets. An increasing number of children are at home with no adult care or supervision. Young people need to know that someone cares about them. Boys & Girls Clubs offer that and more through programs and services that instill a sense of competence, usefulness, belonging, and influence. Great futures are started each and every day at Boys & Girls Clubs. AMERICAN HUMANE ASSOCIATION is the nation’s oldest humane organization with a 135-year-old history. We exist as the nation’s voice for protecting millions of children and animals each year from abuse and neglect through groundbreaking programs, training, and services. Today, we are also leading the way in understanding human-animal interaction and its role in society. HABITAT FOR HUMANITY has worked in Haiti for more than 27 years. Prior to the earthquake, Habitat had provided housing solutions for more than 2,000 families in Haiti. Soon after the earthquake, Habitat set a goal of serving 50,000 families over five years, helping them move toward safer, more secure, permanent places to call home. To date, Habitat’s construction activities have benefited more than 40,000 families. This year, Paul Mitchell Schools supports Habitat for Humanity Haiti in honor of Vidal Sassoon. BEST FRIENDS ANIMAL SOCIETY is a nonprofit organization building no-kill programs and partnerships that will bring about a day when there are No More Homeless Pets.The society's leading initiatives in animal care and community programs are coordinated from its Kanab, Utah, headquarters, the country's largest no-kill sanctuary. This work is made possible by the personal and financial support of a grassroots network of supporters and community partners across the nation. THE LEEZA GIBBONS MEMORY FOUNDATION educates, empowers, and energizes caregivers impacted by chronic illness by creating unique programming, providing universal access to resources, and fostering evidence-based behavioral research to elevate the national consciousness of caregiving. Leeza’s Place is the signature program of the Leeza Gibbons Memory Foundation. THE LARRY KING CARDIAC FOUNDATION provides funding for lifesaving treatment for individuals who, due to limited means or no insurance, would otherwise be unable to receive the treatment and care they so desperately need. 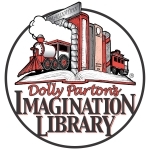 DOLLY PARTON’S IMAGINATION LIBRARY inspires a love of reading and a love of books by gifting a brand-new book each month to over 600,000 preschool children. By working with local sponsors, Dolly has now mailed over 30 million books in her efforts to encourage all children to Dream More, Learn More, Care More, and Be More! CITY OF HOPE is an independent biomedical research, treatment, and education center dedicated to preventing and curing cancer and other life-threatening diseases. It is one of only 40 National Cancer Institute–designated Comprehensive Cancer Centers nationwide and a founding member of the National Comprehensive Cancer Network. ELSA (Experience Learning Support with Animals) builds confidence, sensory awareness, and social skills in special-needs children, teens, adults, and families through the benefits of the human-animal interaction in the ranch setting. WELLS OF HOPE is committed to responding to the cry of the poor and helping them attain the basic necessities of clean water, education, and basic health care. PANCREATIC CANCER ACTION NETWORK is a nationwide network of people dedicated to working together to advance research, support patients, and create hope for those affected by pancreatic cancer. NCA DISASTER RELIEF FUND was established in 1955 to assist salons in rebuilding following the devastation of natural disaster. Over the course of five decades, the fund has been there for professionals in times of dire need. CUT IT OUT is a program of the Salons Against Domestic Abuse Fund dedicated to mobilizing salon professionals and others to fight the epidemic of domestic abuse in communities across the United States. CUT IT OUT builds awareness of domestic abuse and trains salon professionals to recognize warning signs and safely refer clients to local resources. FRANCISCAN HAIRCUTS FROM THE HEART’s mission is to enhance the dignity and self-esteem of poor, homeless, or disabled men, women, and children by providing them with professional hair care.